Provenance: Private Collection, Nashville, Indiana. 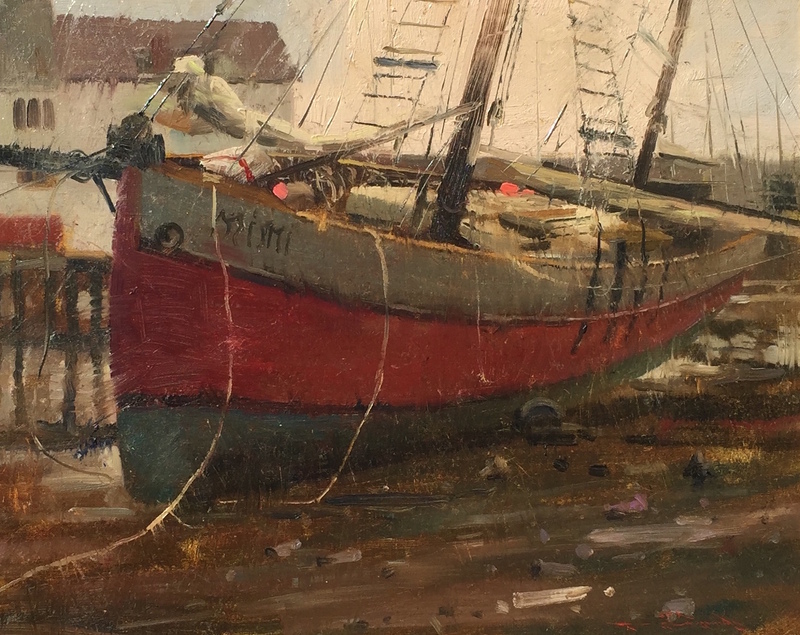 Exhibited: Richmond, Indiana, Richmond Art Museum, "Charles Warren Mundy: An American Impressionist," January 21–March 4, 2001. Literature: Illustrated in color in the 1996 artist-produced "The Gloucester and Rockport Collection" brochure; "Charles Warren Mundy: An American Impressionist," 2001, p. 18 (color); "Memoirs: Charles Warren Mundy, American Impressionist," International Artist Publishing, Verdi, Nevada, 2003, p. 47 (color, full page). Note: This is one of the artist's most important and well-known paintings, having been included in a museum show and illustrated in at least three publications, including in the artist's monograph. Excellent condition, fine original 22K gold gilt frame. This painting comes with a signed copy of the artist's beautiful 2003 monograph.